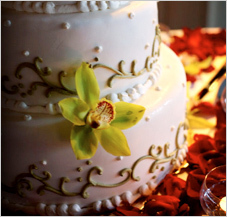 Grande Occasions is Tampa Bay's premier full service wedding and event consulting company that specializes in wedding planning and event design based in Tampa, Florida.We believe in making your dayo one you, your family and guests will always remember. With over 12 years of experience, Barb Oehlerking, specializes in event design and full service coordination, ensuring discerning clientele fresh and innovative concepts and ideas. Her creativity and impeccable taste produce elegant, extraordinary and unforgettable events. Her exceptional organizational skills allow her clients to relax and trust with confidence that she is fully committed to the execution of a flawless event. From selecting your theme, to finding the right invitation, to choosing flowers in season and finding the perfect favor, we will be there with you until the last dance. With our help and network of professionals in the industry, we will help you create your vision and exceed your expectations. • Provide the best services possible to our clients at all times. • Treat clients with the utmost respect, care and concern they deserve. • Maintain our company standards in honesty and integrity. • Be on the cutting edge of design styles and trends. We aim to exceed your expectations in every way. We are commited to providing excellent service and creating a day you will always remember. 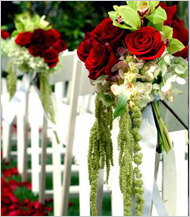 Contact us today to see how we are able to make your wedding dreams into a reality.